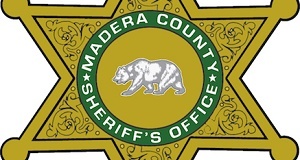 MADERA – Madera County Sheriff’s detectives are continuing their investigation into the circumstances surrounding yesterday’s discovery of an abandoned newborn baby girl in the 35000 block of Avenue 13 ½ in Madera. The baby girl, just hours old, was found by a newspaper delivery man at about 4:30 a.m. yesterday morning. She was lying in the middle of the road wearing just a wet, soiled one-piece jumpsuit. The child was apparently left in the road by a young woman, who reportedly drove away in a small SUV. At this time, detectives are following up on several tips from citizens and neighbors in the area, says the Sheriff’s Office, and investigating all potential leads. The Sheriff’s Office continues to seek information that may lead to the identification of the female subject. She has been described by witnesses as a Hispanic female adult, possibly in her early 20s. 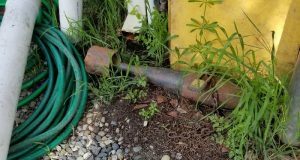 She has a slender build, possibly 5 ft. 2 in. tall and 120 pounds, with dark hair. She was last seen wearing a hoodie-type sweatshirt. The woman left the scene in a small SUV, possibly of a Korean make or model (i.e. Kia, Hyundai), and possibly dark blue or grey in color. The baby girl is currently in good condition and being treated by the Neonatal Intensive Care Unit at Valley Children’s Hospital. According to the Sheriff’s Office, preliminary drug screenings on the child were negative. Upon release from the hospital, the baby will be placed in the custody of Madera County Social Services.